Though this 1982 song just squeaked into the top 50 on the Hot 100 in its original run, its impact has been felt in the hip-hop community for decades. It would be cool to have a copy of such a classic record. Oh, by the way, it’s glow in the dark. Sweet. Strange Desire remains one of my favorite albums of the year thus far, and its two singles have both done well on my top 40 chart. I found a copy of the limited release of “I Wanna Get Better” earlier this year, so I’d love to find this six song EP next. The first Live EP, another Record Store Day release, featured four live versions of classics like “Keep The Faith” and “Livin’ On A Prayer”. This four song set features another bunch of big songs, including “Bad Medicine” and “I’ll Be There For You”. This former On The Verge sponsored quartet has a top ten smash on both the CHR and Hot AC surveys, and their first single to be issued on vinyl could be yours on the 28th. The 12″ piece includes the radio mix of “Kids” and a new mix done by RAC. “Thinking” is already a hit overseas and it’s likely to achieve the same status over here next year. Much like the previous art during this era, the sleeve is green (though the record itself likely isn’t) and its b-side, found on his album X, is in a live form. I don’t have any physical product from them… yet. However, that could change on Black Friday. Of course, the tweens can’t get enough of them, especially with a #1 album and two top ten EPs (a third is on the way.) This picture disc could be a start. Back in 1987, you could find this festive rap on the first A Very Special Christmas compilation, which benefitted the Special Olympics. This re-release features the added b-side “Peter Piper” from 1986’s Raising Hell, as well as an “audible postcard”. It was partially filmed in my hometown of Worcester, MA in the spring of 2013 and the extended version of this soundtrack is definitely near the top of my list this time around. Bringing back the sounds of decades past, it is worth the hustle to get it. The film did big numbers at the box office during the summer and the soundtrack from it topped the Billboard 200 chart for two weeks in August. Featuring jams from the late 1960’s and early 1970’s, Peter Quill’s musical memories tape is a fun find. I’ve enjoyed a handful of versions of this annual treat, but nothing beats the original, which climbed as high as #2 in the U.K. in 1984. Needless to say, you’ll be hearing it on many stations soon enough. This is specially printed on green and red vinyl. What else is looking good? 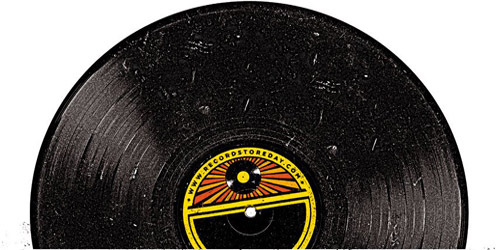 For a full list of all the special stuff, it’s all up on Record Store Day’s website. Are you getting pumped for RSD’s Black Friday festivities and is there another release not listed here that you’ve got to have? Let me know in the comments or on Facebook or Twitter: click the “Get Social!” tab above to find us on there. Tagged as 5 Seconds Of Summer, Bleachers, Bon Jovi, David Bowie, Echosmith, Ed Sheeran, Wham!